UltraISO is an ISO image file creating/editing/converting tool and a bootable CD/DVD maker. It can directly edit an ISO file, make ISO images from CD/DVD-ROMs, and create a new ISO from files and folders on your computer. 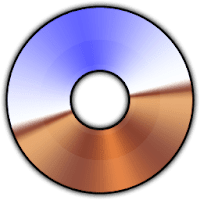 In addition, the program can convert nearly all known CD and DVD image formats to ISO, BIN/CUE, Nero (NRG), Alcohol 120 percentage (MDS/MDF), and CloneCD (CCD/IMG/SUB) formats, as well as burn CD/DVD images directly with built-in burning engine and emulate ISO images with up to 8 virtual CD/DVD drives. UltraISO is in sole possession of the intellectualized ISO document format analyzer, it can process at the present time almost all types of image files, including ISO and BIN, it may even support new image files which are yet to be created. EZB Systems's ISO tool can open these image files, directly extract files and folders, edit it and convert other image files to the standard ISO format. Along with the large capacity hard disk popularity, people were already used to copying compact discs to CD/DVD image files, generally used is the famous ISO 9660 international standards format, therefore CD/DVD image files are called ISO files. Because the ISO file retained complete data information of the compact disc (including compact disc boot information), you were allowed the convenience to use commonly used CD/DVD burning software (for example Nero Burning ROM) to record the disc with your CD-R/RW or DVD-R/RW over and over forever, it can also be used directly through Virtual CD/DVD-ROM drive software (for example Daemon Tools). Disclaimer: Direct downloads for the lastest version of UltraISO Premium Edition 9.7.0.3476 are provided by the official software's author, we can't guarantee safety, availability or download speed. Moreover, we don't and we won't provide any pirated/illegal versions or tools. We recommend you to avoid it as these methods can harm your device. If you like the software, buy it to support the developers. (We provide software discounts for many worldwide brands).